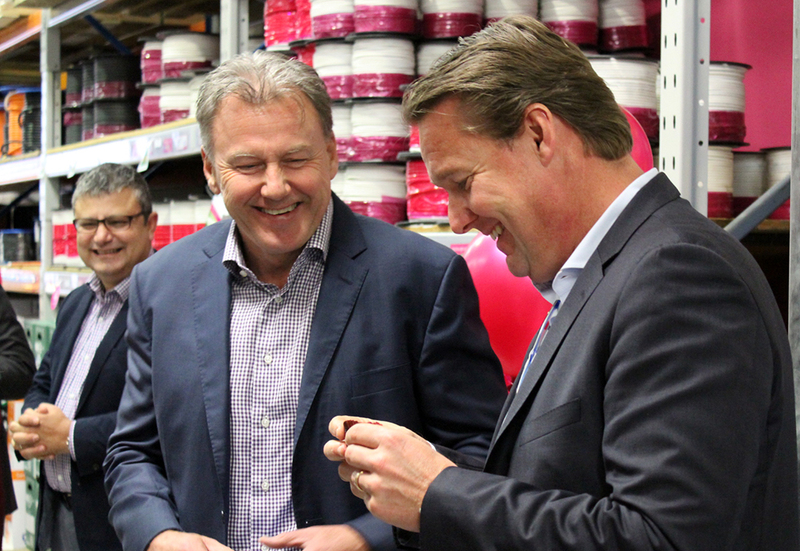 In our ambition to partner up with our wholesalers to promote Australian made and safe cables of high quality we have developed a new store concept in close co-operation with TLE. The concept includes a clear guidance to our products, installation guides and useful product information which helps contractors and electricians find the right cable. 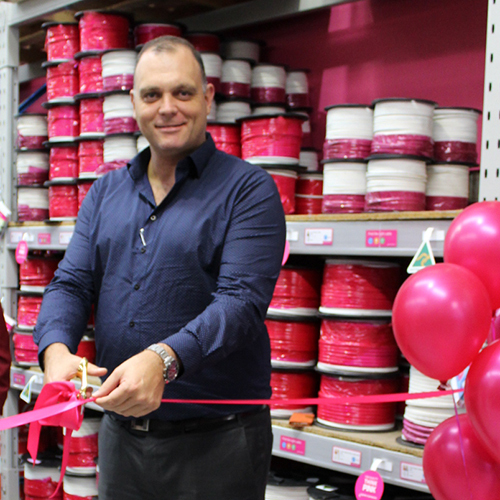 The first store out testing this new concept was TLE Alexandria last Wednesday, June 14. 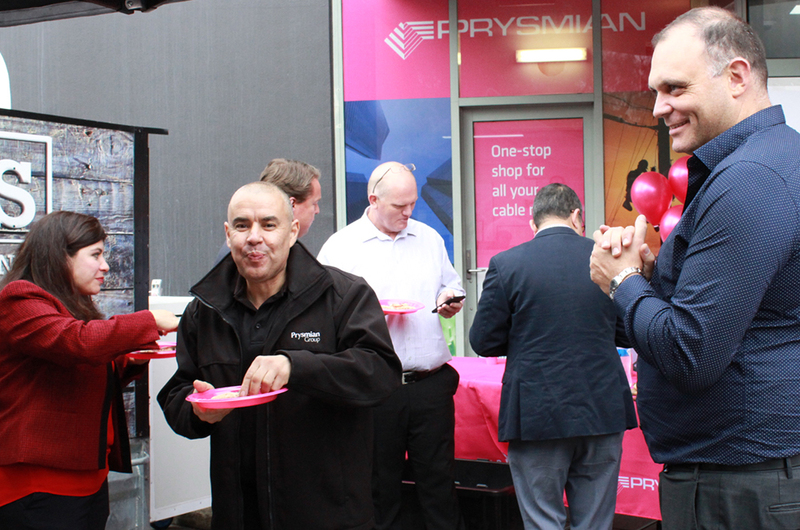 Attending this premiere were representatives from Prysmian’s top management as well as commercial and technical teams, and TLE’s regional manager Ed Urban, branch manager Scot Marshall and employees. 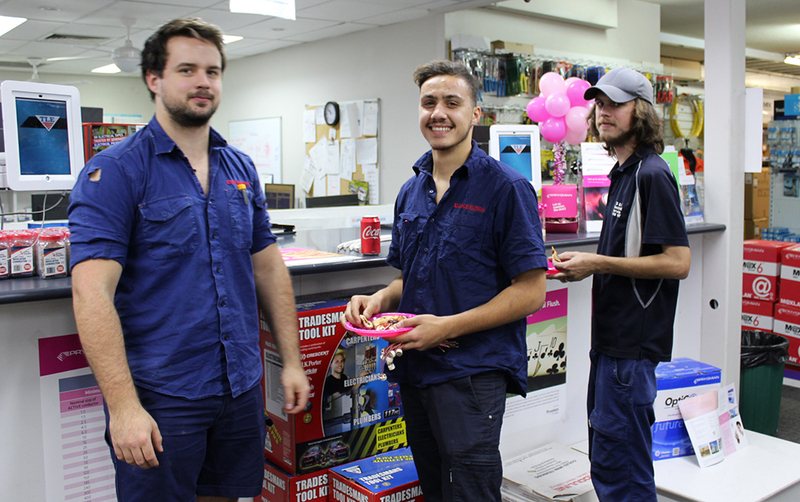 The event was also attended by many curious customers who had the chance to discuss technical issues while enjoying a slice of pizza. 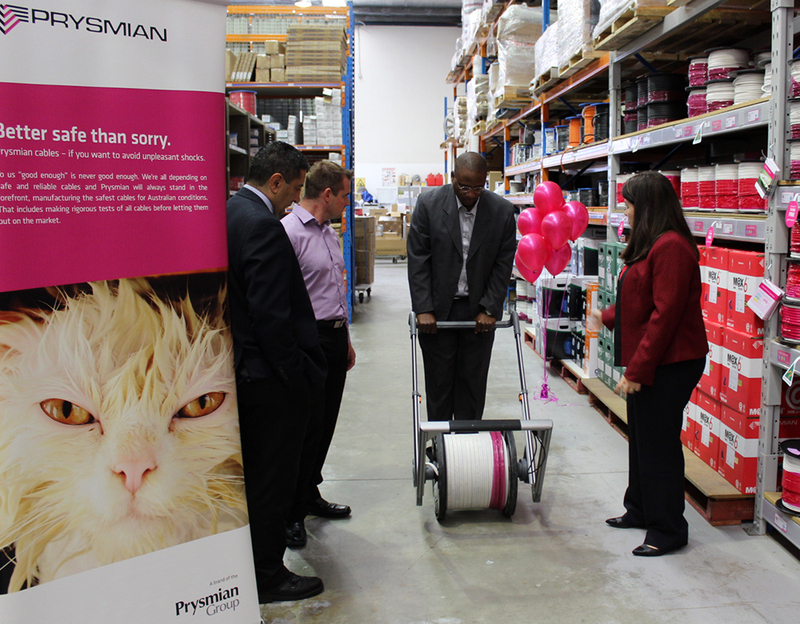 We introduced a new expanded range including datacomm cables and Prysmian’s brand new cable trolley – Drum mate. 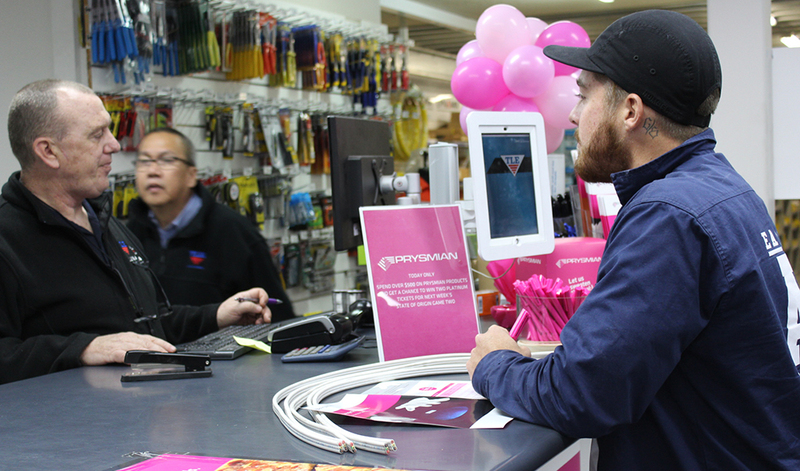 A lot of give-aways were also handed out during the day and as icing on the cake we congratulated two winners of platinum tickets to the State of Origin game. We want to thank everyone who contributed to making this day such a success and we look forward to many more openings in the near future. Next Prysmian Store Concept opening will be in TLE Hoxton Park on 7th of July.